Upgrade your Time Card Machine. Access staff time-sheets and job hours online. We've made swipe card time clocks powerful, modular, and easy. 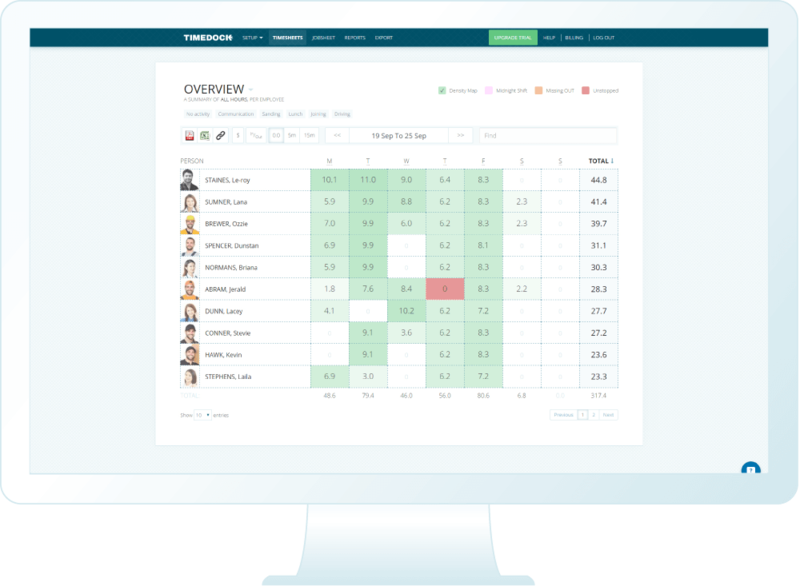 Plug-and-play as many of our time card machines as you like and log into your TimeDock timesheet platform to instantly see who's clocked in, and review in real-time your company time-sheets and job reports. Each time clock machine comes with a 1 year warranty and a life expectancy of 5+ years. The underlying hardware is based on the commercially available N776 CE-rated and IP64 dust and splash proof Android Tablet. Screw the mounting bracket to the wall. Plug the power adapter into the wall and connect to your Wifi connection. Configure your employees and any job codes within TimeDock. Our Time Clock Machine is highly modular, scalable and connects directly to the most user-friendly online time-sheets platform available. Online time-sheets and job hours. Log in daily and check that time-sheets are in order and job hours are ticking up appropriately. Scalable and modular. Install as many time clock devices as you need, anywhere with a Wifi connection point and power. TimeDock scales easily. Mobile swipe card app available. Have staff out in the field? Supervisors and managers can use our TimeDock time tracking app to clock staff in out in the field, by scanning their proximity badges with Android and iOS phones. Staff can clock in at a machine, then directly onto a remote job site throughout the day. Simple to use & learn. 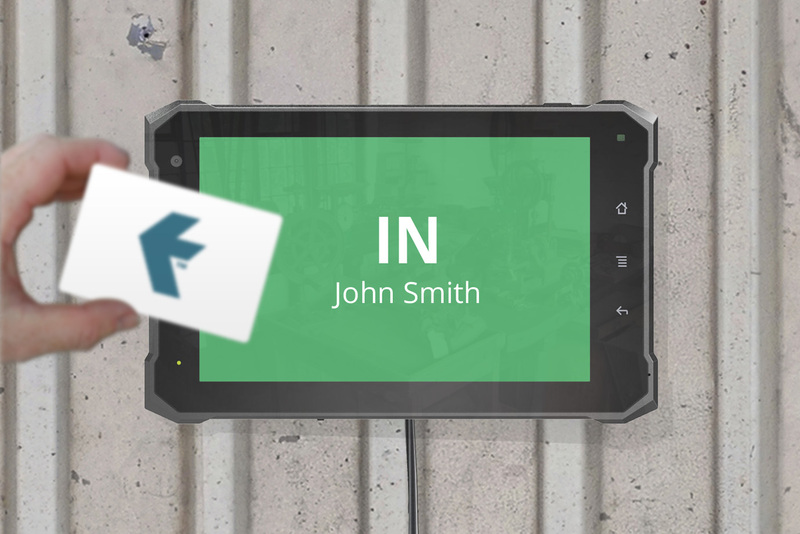 Clocking in is as simple as swiping a plastic proximity card. Reviewing time-sheets is as easy as logging in to your TimeDock web portal. Adjustments and manual time entries takes seconds.